Skunks are shy animals, only spraying when physically attacked. 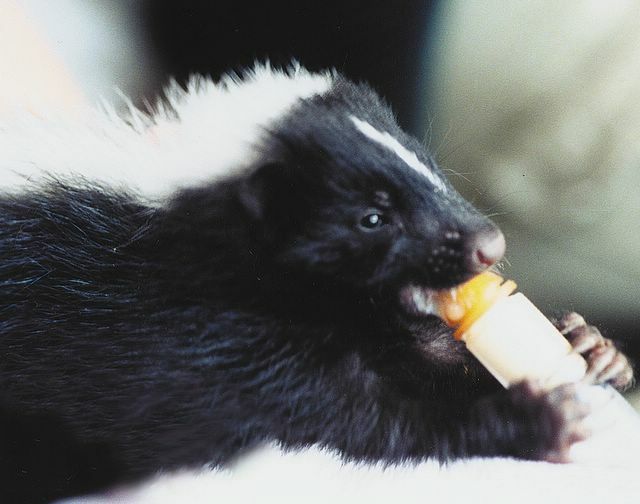 Insects and rodents make up the main diet of skunks. This orphaned skunk is drinking specialized wildlife milk formula from a 3cc syringe - no bigger than your finger. Baby formula is one of our biggest annual expenses. If you'd like to help save wild lives, please donate today.